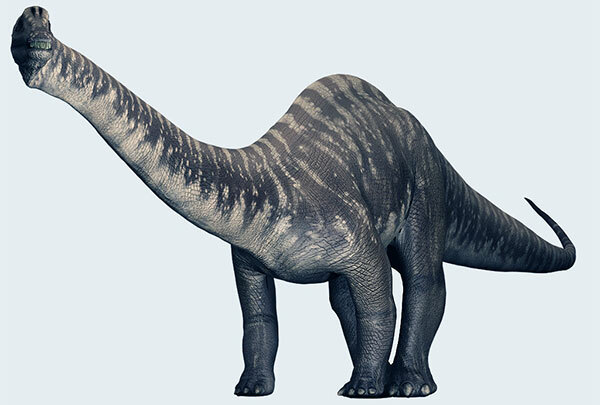 The most striking characteristic of the sauropods was their size, for they were the biggest animals to walk the Earth. 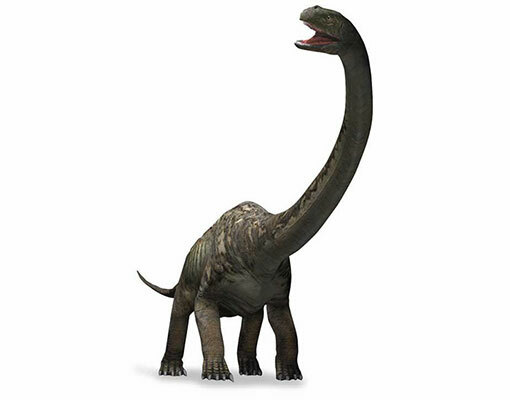 Their body design did not vary as much as in other dinosaur groups – they all had large bodies and small heads, and most had very long necks and tails, like this Brachiosaurus. 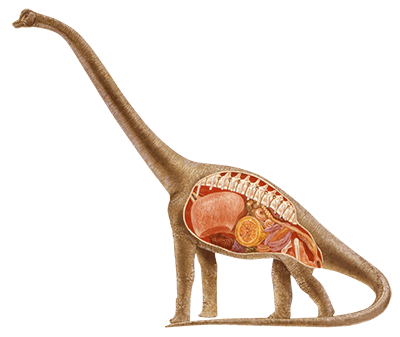 All the sauropods were herbivorous, maintaining their massive bodies with only plant matter. 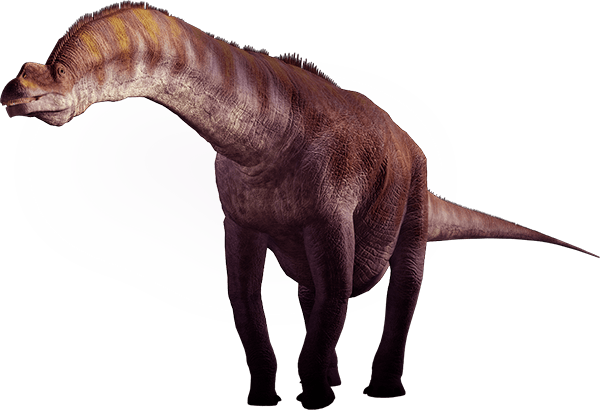 Like their enemies the theropods, the sauropods belonged to the lizard-hipped type of dinosaurs. Who was the biggest of them all? There are several contenders for this title. Seismosaurus and Paralititan were both giants among sauropods but Argentinosaurus may have been the biggest. Although only a few bones of this dinosaur have been recovered, palaeontologists have estimated its length at about 37.5m (123ft) and its weight at 80-100 tonnes. 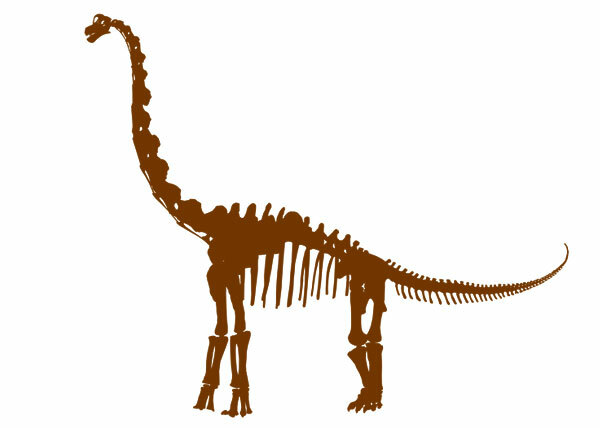 It is still possible that an even bigger sauropod may be discovered. A quadrupedal animal, such as Saltasaurus, is one that walks on all four legs. All sauropods, and most other plant-eating dinosaurs, were quadrupedal. This was probably because he plant-eaters had large stomachs that tended to pitch their bodies forwards onto the front legs, making walking on only the back legs impossible. Were there any small sauropods? One of the smallest known sauropods measured 6m (19.5ft) from head to tail. Magyarosaurus and other smaller sauropods have been discovered in part of Europe that were a group of islands in Cretaceous times. 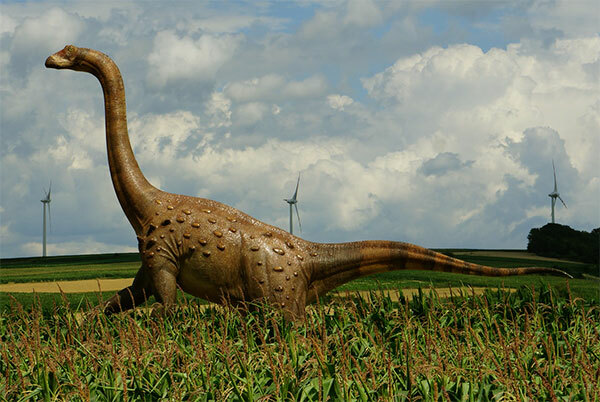 It is likely that the sauropods living there became smaller over thousands of years because of a limited food supply. How long was the longest neck? The neck of an adult Mamenchisaurus was an incredible 14m (46ft) long. The neck was made up of 19 spinal bones (vertebrae), more than in any other dinosaur. The vertebrae were linked to one another by bony struts, which made the neck quite stiff. The vertebrae were hollow and thin to make the neck as lightweight as possible. Who had the longest tail? Diplodocus is the most likely holder of this title. This dinosaur had a tail measuring around 14m (46ft), as long as Mamenchisaurus’s neck. The tail was composed of about 80 vertebrae, which became narrower at the tail’s tip. Diplodocus probably used its tail as a counterbalance for its long neck and it may have whipped attackers with its tail, too. Did sauropods have thick skin? Sauropods had thick skin for protection against attackers. However, these skin textures would have varied between groups. 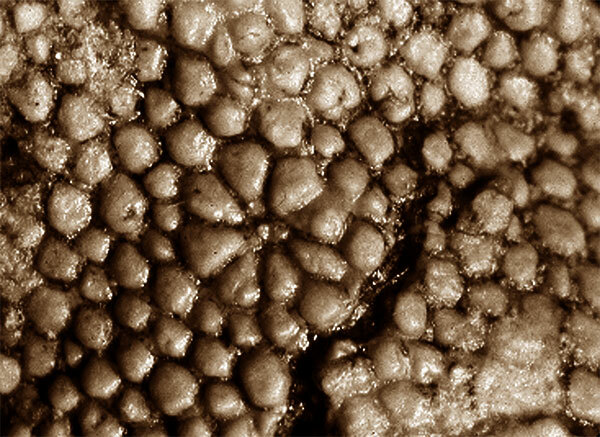 A section of fossilized skin from a Saltasaurus, above, has been discovered, showing knobby skin inset with little bony plates. Other sauropods may have had smoother, more lizard-like skin. Some even had ridged spikes running along their backs. This infant Mussaurus (mouse lizard) is just 18cm (7in) long. It belongs to the prosauropod group, once thought to be ancestors of the sauropods. In China, the bones of sauropods have been boiled up and fed to children for their healing properties. The largest land animal today is the African elephant.